ASAP Containers in Omaha, NE is here to help you with dumpsters, roll-off dumpsters for the removal of waste and garbage. 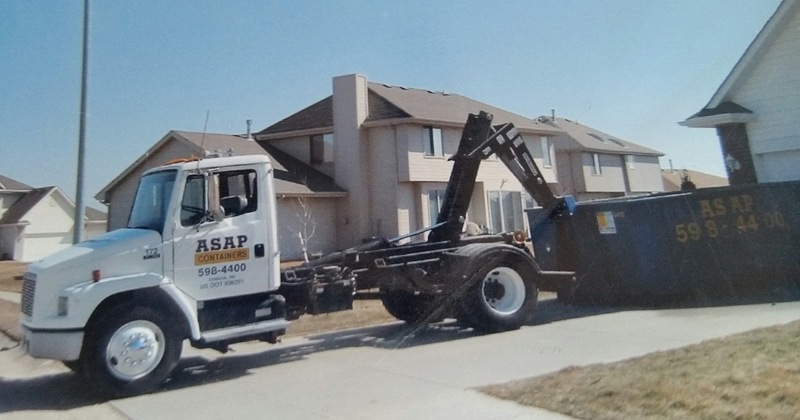 ASAP Containers in Omaha, NE is here to help you with waste management products such as dumpsters, roll-off dumpsters for the removal of waste, garbage, demolition waste, construction debris and roofing materials. Our containers and dumpsters are clean, safe, durable and well-maintained. We assure quick response, timely completion of work and competitive pricing. Contact us today to experience excellent services. You can also fill out the form below if you would have any questions or would like to know more about our services. Our representative will contact you as soon as possible.